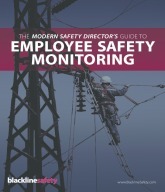 Transform smartphones into safety monitoring devices when your lone workers are driving & outdoors. 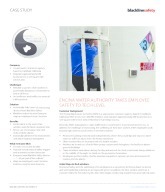 The Encina Wastewater Authority (EWA) is a wastewater treatment agency based in Carlsbad, California. EWA serves over 400,000 residents and regulates approximately 600 businesses in a 125 square mile service area of Northwest San Diego County. Meet the all-new G7. Safety theory states that every incident is preventable. But we live in a practical world, limited by time and resources. The key is better leveraging what's available. In an ever-connected world, can the safety industry do better while remaining fiscally responsible and practical? We say yes. For nearly a decade, Blackline Safety has created technology that glues teams together in the workplace, and we're about to change the game, again.